The longest mountain range in the world is the Andes, stretching nearly 4,500 miles over most of a continent (1). The tallest range is the Himalayas, reaching a staggering 29,029 ft atop Mt Everest (2) between Nepal and China. So what makes the Dolomites in northern Italy so enticing and so magical? It’s hard to put a finger on why the Dolomites are so stunning…when there are so many options. While planning a recent trip to Europe, friends and I decided to explore the small mountain village of Sexten (Sesto in Italian), Italy. 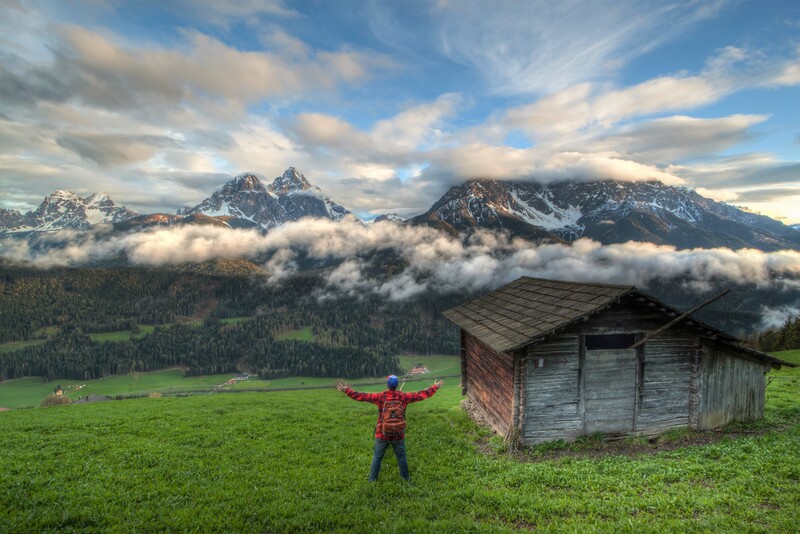 Though 95% of the population speaks German, we were able to score an affordable bed and breakfast high on the grassy flanks of Monte Elmo Helm in South Tyrol. Though we had never been to the area, a little Google Earth scouting lead us to believe it would be worth it. Needless to say, our view was astounding. Since the Dolomites are an extension of the Alps, we expected to see jagged peaks, but what we witnessed was larger than words. Though the Dolomites are not the largest, or the longest mountain range, they have a special lure. While inviting, in a fairytale sort of way, they also command respect. After living in Colorado for so many years, I became accustomed to seeing numerous rock slides and scree fields around large peaks. Not in Italy. Debris is kept to a minimum, due to the dolomitic limestone (3) that form the towering spires and gaping valley walls, which seems to be stronger than many rocks found in the high country of the United States. Although rock glaciers move downward in many areas, the rock seems less fragile and begs adventurers to climb is steep angles. With that said, I’m hoping that the next visit to this story book land will lend better climbing conditions, and less car travel!